Biodiversity is of crucial importance to particular ecosystems and to the environment as a whole because it helps sustain the natural balance that enables life to thrive, promoting resilience (Bellwood, 2006). An ecosystem is defined to be a system of interactions among organisms. Having a diversity of species is crucial to maintain these interactions. A species-rich ecosystem allows for much more fluid adaptation to external stress than does an ecosystem that is limited in species (Bellwood, 2006). There are studies dating back to 1996 that establish that the highest prosperity exists in ecosystems of vast biodiversity (Johnson et al., 1996). For example, in 2006, David R. Bellwood and colleagues conducted a study in Australia's Great Barrier Reef. The study was designed to investigate what would happen to the reef if it were to be overfished. To imitate overfishing, fences were placed around the reef so that fish could not interact with the coral. The results indicated that coral reefs would be overgrown by algae and eventually lost in the absence of fish. More importantly, however, Bellwood observed that upon removal of the fences, bat fish (Platax pinnatus), often considered to be unimportant constituents of such environments, quickly allowed the coral to recuperate. This proved that preserving biodiversity is important as it demonstrates that humans are often unaware of all the functions a species can provide. Energy and nutrition flow within an ecosystem is also affected by species richness. The cycling of energy and nutrients from external resources among organisms within an ecosystem is what allows ecosystems to preserve themselves. Ecosystems thrive independently through energy transfers. 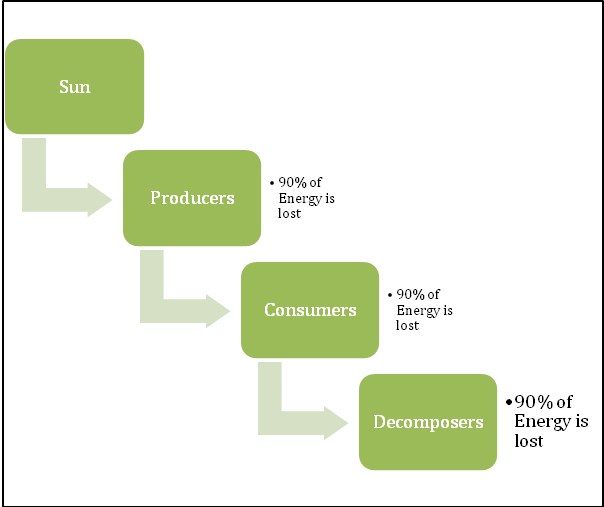 In an ideal environment, energy flows from one trophic level to the next, losing an average of approximately 90 percent of net energy from level to level (Figure 1). Most of this loss can be attributed to heat, but it can also be explained by processes such as respiration, growth and reproduction, defecation, and death and decomposition (The Habitable Planet, n.d.). 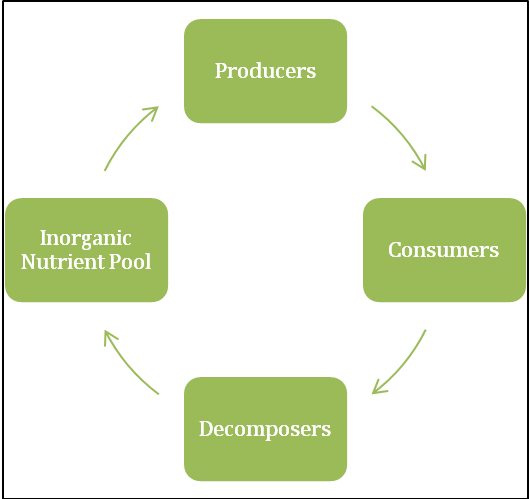 Figure 2 illustrates an idealistic model of nutrient cycling, in which nutrients move from the physical environment (i.e. 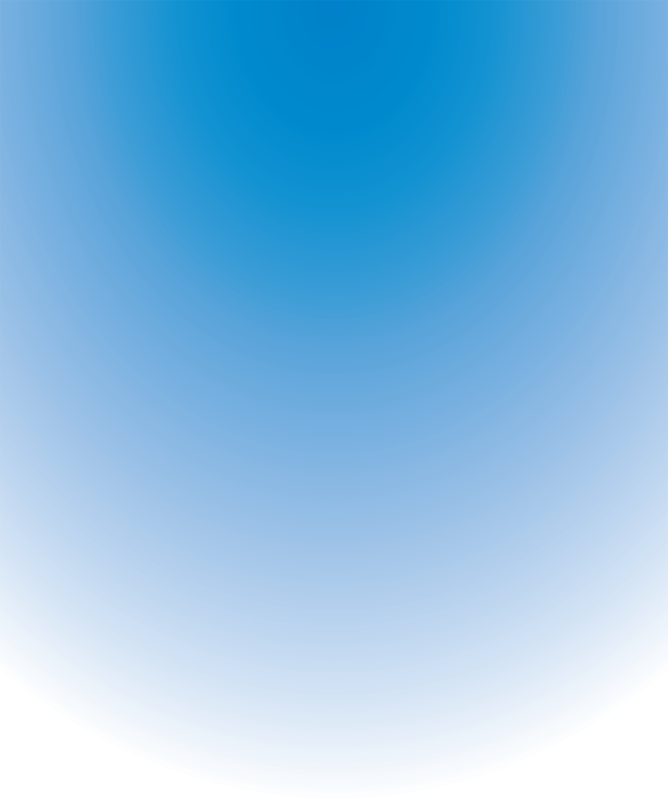 the inorganic nutrient pool) to living organisms. Such transfer and exchange of nutrients is essential for life. In any particular environment, the nutrient cycle must be balanced and stable; inputs and outputs must be equal if the organisms that live in an environment are to maintain a constant population level (The Habitable Planet, Laverty, and Sterling, 2003). However, the ecosystems on Earth do not always function in such an idealistic manner. Many times, they encounter external perturbations like fires, flooding, windstorms, deforestation, or the introduction of invasive species (Paine et al., 1998). Such disturbances can alter the flow of a food web, affecting the energy flow and nutrient cycling of the ecosystem. Alterations, usually reflected in imbalances of nutrients and energy between the trophic levels, have the potential to cause increased species loss. Without these species, a subset of our usual natural services are lost, and the environment is unbalanced. Multiple studies suggest that ecosystems' energetic efficiency, productivity, and ability to recover from exterior instabilities are improved as the number of species increases (Johnson et al., 1996 and Mac Arthur, 1955). In his study, Robert Mac Arthur concluded that the energy flow in intricate food webs is least disrupted by exterior stress or perturbations because there are alternative pathways of energy and nutrient flow that allow for the maintenance of natural balance. Biodiversity stimulates resilience within species interactions like nutrient and energy cycling. Studies such as MacArthur's 1955 study and, more recently, the study of Bellwood and colleagues (2006) indicate the intrinsic importance of biodiversity within Earth's most prosperous ecosystems.